Sometimes a quiet place, a cup of coffee, in a obscure corner of a local coffee shop over nothing can make for some of the deepest conversations. There are layers to peel away, and the real side we all can identify with are revealed in these moments. 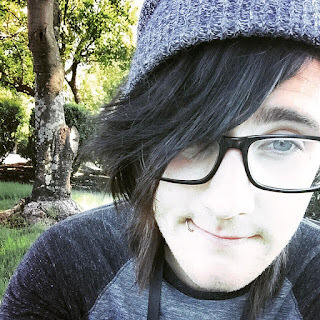 A chat with Braden Barrie of SayWeCanFly a soul that knows he is in control and he is okay with that. Song River: Hey, Braden I was looking into your background a bit and noticed there really wasn't a lot about your growing up years, and where you come from. Fans love to be able to connect, so lets delve in a bit to the early years. Braden Barrie: Well, I grew up in a small town, in Ontario, absolutely in the middle of nowhere and I grew up around people who had a very small mind-set. And when I was a kid, my parent split up, and I was very unhappy, there isn't any other way to put it, and I spent many years trying to figure out how to deal with that. During that time and becoming aware of what I was dealing with, I didn’t have a ton of friends, and I didn't have any solutions at that time, but I had a guitar, and I could write songs, and you know that really helped me. 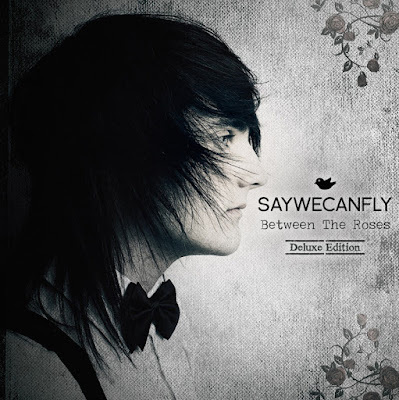 My playing, it would calm me and ever since then music has just become a bigger part of who I am. I'd say since I was about 12 or 13 music is really all I cared about. I mean obviously I have done other stuff in my life, but its been something I have worked towards for a long, long time. I worked a grocery store for over three years to try to save money so I could do my own thing, and worked at a coffee shop for a year, but it was the music overall that helped me get through. All the rough stuff you go through, I dunno, I guess I was a pretty sad kid, but eventually you get over that, and things start making a little more sense. All I really know is I am very happy to be doing what I am doing now, its been a lot of years of work, but the reason I have been able to do it is because there are so many people supporting me. Its been a journey, that’s for sure. SR: Do you have any siblings then? BB: Yes, I have one. We don't see each other much, never really did as our family split up. In many ways I kind of felt like an only child. I stayed with my mom for a bit, but then due to circumstances I ended up living a few years too with my best friend, and it was good as it helped me grow up a lot. I think the space from my parents helped the conflict, so we could understand each other a little more. SR: What age would you say was the most troublesome for you growing up? BB: Probably about the age of fourteen, that seems to be the number I remember. That’s when I started High School and the transition from a small school to a very big school plus stuff going on with my parents, that was probably the toughest I'd say. SR: Was it in high school then that you met your best friend that you ended up living with? BB: No, actually we had known each other since we were about four. We kind of drifted, then in high school we reconnected again. It's been a great situation as he is into filming, always has been, and has done a lot of video filming for me, and helped with that. He is a very creative person and its great to be able to count on each other, which is very cool to be around and relate. He really is a best friend. SR: You come across as an introvert, how is it you’ve stepped out as you have to to be a performer? BB: I'd say the first couple of years were hard, but you just have to face your fear and after a while it isn't so hard. Sometimes I think it's harder to just talk to someone one on one, I don’t know, because I am thinking all the time and it's hard to shut my mind off. (laughed) There is so much value I’ve come to realize in talking to people though, and I have learned to open myself up more. SR: So Braden would you say, music has been your salvation? SR: How many EP's so far? BB: Four, then a full length all up on iTunes. SR: How old were when you started writing? And what did you write on? Paper, computer? BB: That's actually an interesting question. I think I was like 13 when I wrote my first song and it's been weird because depending what I write on determines how easy it is for me to write. I started really with just a pen and paper, before I had the fancy phone, and I had so many songs that I wrote in this notebook. I always had something to look at. Now I will just record little ideas on my phone. When I take time to clear my head, then I write. It needs to be a physical moment of movement for me. It helps me. Its my writing, and messy and feels more real to me. SR: Talk a little about your new album. BB: “Between The Roses” is my first full length, and it took about a year and half. I was just going to do another EP, but a friend gave me the idea to do a full length. I know bands sometimes will write several songs, and pick from them, but for me that never felt right. I knew it may take me awhile but I really wanted to do this full length album as a story and have it say something and that was really my only first thought. I bought this new guitar I really love, and the story came to me, the last song on the album and the album title, "Between the Roses." I kind of worked backwards with it. The story in the album is about love between people. Not just romantic love, but the love that has shaped me and taken me mentally, kind of what it has done to me. Some of it is romantic as well. The whole thing is metaphorically presented of how one might go to the top of a mountain to the bottom of the ocean. Its weird because when I write I don’t always understand until after I record it. That was the idea behind it and I think it turned out pretty well. SR: Do you ever feel you might get to a point where you may not have life experiences to draw from? BB: Honestly, I try to make everyday an adventure. I will drive around for hours and get lost. Its something I need, it's the way I am built. Even though in touring, I have experienced so much on the road, I can't see it ever running out. SR: At 20 you can relate to many kids who have gone through some of the same things. Do you feel as you get older that your music will continue to move with you so that you’re relating to an equal fan base of age experiences? BB: I think its hard to say, but what I have gathered in talking to people at different ages is that everyone struggles with the same things at different ages but may approach them differently. The elements of sadness and darkness are present in everyone’s life. I want to remind others we are all the same. We can all relate. I keep my old demos up on the net so people at any age can go back and identify. SR: As you're creating, this album and you've relayed your moments of unhappiness growing up to an album of various types of love... is part of what you’re reaching out to say is that forgiveness needs to be a part too? If so, how are you relaying that to the fans? BB: I think what I’ve learned, looking back at the times I felt heartbroken, I was letting others cause me to feel that way instead of realizing I could control it. With my parents, it was hard at that time for me to relate, but you go through it, and you move forward. Everyone changes every day. I think we need to forgive ourselves too. As we think its others fault, but that doesn’t allow us to let go. We need to forgive ourselves. SR: This is your first full Warped Tour? BB: A misconception a lot of people have, is yes you have to grind it to pay for things, but if you’re doing it right and surround yourself with the right people you can do it. The biggest cost is March, it's a huge investment... thousands and thousands of dollars up front so you have enough to last the whole tour. SR: Do you enjoy the social media side of this business? BB: Very much so, its great staying in contact with them. SR: Are you planning on releasing any videos while on the Warped Tour? 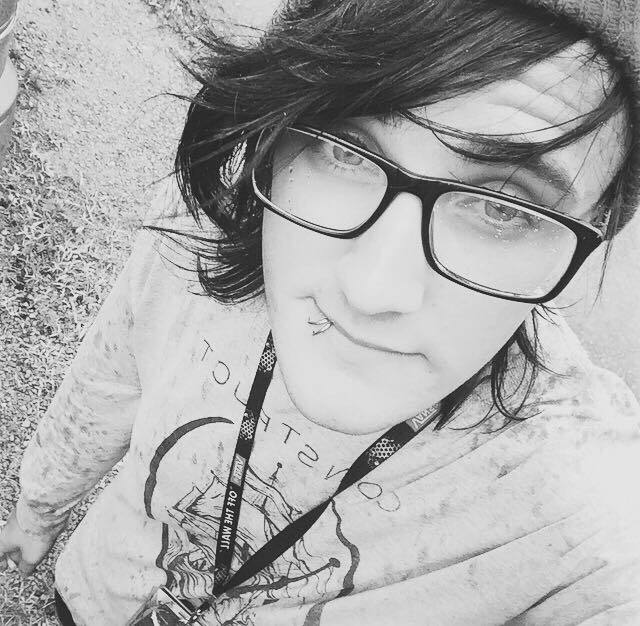 BB: “The Distance That Took You Away,” for over the summer and then I’m going to be shooting a video over Warped Tour as well. SR: When Warped is over, and you get back home what is the first thing you are looking forward to going and get? BB: Tim Hortons Coffee, honestly I am a coffee addict. (laughed) I like to drive there in the morning get a cup of coffee, go back home work on my computer, write, whatever. That’s pretty much my day. That’s always my first stop when I get home.